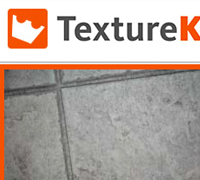 I stumbled across an excellent design resource the other day for those in need of background/textures.¬† Texture King currently offers 300+ high res images of textures ranging from Concrete to Liquids with everything in between.¬† They do a great job of breaking down textures into categories which really helps when you’re looking for the perfect background for your design or video project.¬† And the best thing of all is they are 100% free to use in any way (with the exception of selling or redistribution). Bookmark this excellent texture resource today so the next time you’re design needs a little touch, you’ve got an arsenal at your disposal. See all the textures at http://www.textureking.com/.